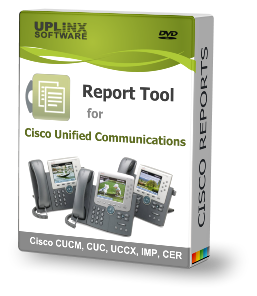 The Uplinx Report Tool for Cisco Unified Communications automatically generates professional configuration and audit reports of the Cisco Emergency Responder server. The reports help Cisco Unified Communications customers who use Cisco Emergency Responder to more effectively comply with their legal or regulatory obligations, thereby reducing the risk of liability related to emergency calls. The auto generated report by the Uplinx Report Tool can be included in your documentation regarding 911 requirements and be reviewed by an expert to document compliance after the initial system deployment.